Debbie Patterson is a graduate of the University of Toronto with over 30 years of clinical practice in orthopaedic physiotherapy. Early in her career she recognized that the medical model of physiotherapy treatment often failed people with persistent pain. This led her on a career path of learning about the current science of pain, and searching for clinical relevance in the treatment of pain. For over 25 years her clinical practice has focused on providing current evidence based treatment for persistent pain conditions, including chronic low back and neck pain, complex regional pain syndrome, phantom limb pain and fibromyalgia. She has treated pre teenage children with persistent pain conditions, teenagers, and adults. Debbie is a trained and certified Progressive Goal Attainment Programme (PGAP) provider. She is trained in and has many clinical hours in Cognitive Behavioural Therapy (CBT), Motivational Interviewing and Acceptance and Committment Therapy (ACT). Debbie is a registered physiotherapist in good standing in Ontario and Alberta, licensed to provide treatment in both provinces. 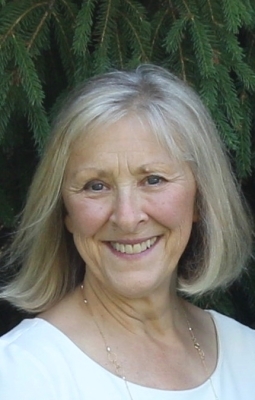 She was a founding member of the Canadian Physiotherapy Pain Science Group and the Pain Science Division (PSD) of the Canadian Physiotherapy Association, serving on the executive of both groups as Secretary. Debbie is committed to post graduate education and on going mentoriship for health care providers who have an interest in and passsion for people with persistent pain conditions. She is an invited speaker to interdisciplinary courses, events and congresses. “Treatment is directed at changing the pain by changing the brain & the way it processes information. It is directed at returning the pain system to its normal function rather than a system that quite literally has highjacked your brain and your life."